Book your next vacation rental in South Lake Tahoe, Kirkwood, and Fallen Leaf and bring your pet! Pyramid Peaks has many pet friendly lodging options, so you can bring your animal companions no matter where you go. A majority of our housing also accommodates several guests, so you can take the whole family! 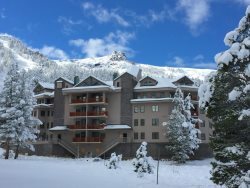 Our pet friendly rentals in Lake Tahoe are located near all of the fun activities your pets will love, including hiking trails and ski slopes. Best of all, there is plenty of space for them in our pet friendly lodging! No need to leave Fido at home -- take him along on the adventure with you and enjoy our pet friendly rentals in Lake Tahoe.